Dr Pepper Dallas Cup Winners Score $40,000 In Sports Equipment For Their Favorite Community Organizations | Dallas Cup, Inc.
Outlasting elite competition from around the world to win the prestigious Dr Pepper Dallas Cup is an accomplishment that eight U.S. and international youth club soccer teams will remember for a lifetime. It will also pay off in a big way for some community organizations in dire need of sports equipment, apparel and gear to keep kids involved in organized team sports. Let’s Play, a community partnership led by Dr Pepper Snapple Group (DPS) to get kids and families active nationwide, is donating $5,000 in sports gear on behalf of each of the eight Dr Pepper Dallas Cup-winning teams to deserving U.S.-based community organizations. The $40,000 total contribution is part of the $1 million in sports gear DPS will donate this year through its Let’s Play partnership with Good Sports, a national non-profit organization that provides sports equipment to disadvantaged youth programs across the country. 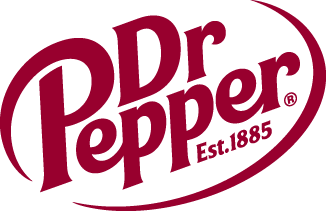 Dr Pepper Snapple Group (NYSE: DPS) is a leading producer of flavored beverages in North America and the Caribbean. Our success is fueled by more than 50 brands that are synonymous with refreshment, fun and flavor. We have 6 of the top 10 non-cola soft drinks, and 13 of our 14 leading brands are No. 1 or No. 2 in their flavor categories. In addition to our flagship Dr Pepper and Snapple brands, our portfolio includes 7UP, A&W, Canada Dry, Clamato, Crush, Hawaiian Punch, Mott's, Mr & Mrs T mixers, Peñafiel, Rose's, Schweppes, Squirt and Sunkist soda. To learn more about our iconic brands and Plano, Texas-based company, please visit DrPepperSnapple.com. For our latest news and updates, follow us at Facebook.com/DrPepperSnapple or Twitter.com/DrPepperSnapple. Let’s Play is a community partnership led by Dr Pepper Snapple Group (NYSE: DPS) to get kids and families active nationwide. Since Let’s Play launched in 2011, DPS has committed $26worked with nonprofit KaBOOM! to build or improve more than 2,000 playgrounds across North America and in 2014 partnered with Good Sports to provide sports gear for deserving athletic organizations in communities coast to coast. For more information, visit LetsPlay.com or Facebook.com/LetsPlay. Dr Pepper Dallas Cup is the most prestigious international youth soccer tournament in the United States, celebrating its 35th anniversary in 2014. Dallas Cup consists of eight age groups from U13 to U19 and entertains on average more than 100,000 spectators during the week. Since its inception in 1980, Dallas Cup has hosted teams and referees from across 47 states, six continents and more than 100 countries. Follow Dallas Cup on Twitter, Facebook and on Instagram. Good Sports helps to lay the foundation for healthy, active lifestyles by providing athletic equipment, footwear, and apparel to disadvantaged young people nationwide. By partnering with sporting goods manufacturers, Good Sports is able to get the necessary equipment into the hands of the kids that need it most, giving them a chance to get in the game. Since 2003, Good Sports has provided over $10 million worth of equipment to over 1,400 youth programs, impacting more than 870,000 kids. For more information on how you can support Good Sports, please visit www.goodsports.org. DALLAS--(BUSINESS WIRE)-- Outlasting elite competition from around the world to win the prestigious Dr Pepper Dallas Cup is an accomplishment that eight U.S. and international youth club soccer teams will remember for a lifetime. It will also pay off in a big way for some community organizations in dire need of sports equipment, apparel and gear to keep kids involved in organized team sports. Let's Play, a community partnership led by Dr Pepper Snapple Group (DPS) to get kids and families active nationwide, is donating $5,000 in sports gear on behalf of each of the eight Dr Pepper Dallas Cup-winning teams to deserving U.S.-based community organizations. The $40,000 total contribution is part of the $1 million in sports gear DPS will donate this year through its Let's Play partnership with Good Sports, a national non-profit organization that provides sports equipment to disadvantaged youth programs across the country. "The Dr Pepper Dallas Cup is truly a celebration of soccer and the passion people of all ages have for the sport," said Vicki Draughn, vice president of corporate affairs for Dr Pepper Snapple Group. "In a year when soccer will capture the hearts and minds of sports fans across the U.S. and around the world, we are thrilled to help provide more kids the opportunity to get active through participating in the 'Beautiful Game.'" "These teams represent the future of soccer in the United States and abroad. They are ambassadors of the sport and of their communities," said Andy Swift, executive director of the Dr Pepper Dallas Cup. "We are thrilled that their accomplishments this past week will bring welcome support to some very deserving youth organizations and perhaps even help plant the seeds for the next generation of soccer stars in their communities." Let's Play is a community partnership led by Dr Pepper Snapple Group (NYSE: DPS) to get kids and families active nationwide. Since Let's Play launched in 2011, DPS has worked with nonprofit KaBOOM! to build or improve more than 2,000 playgrounds across North America and in 2014 partnered with Good Sports to provide sports gear for deserving athletic organizations in communities coast to coast. For more information, visit LetsPlay.com or Facebook.com/LetsPlay.